As October begins and winter creeps on our doorstep, we must start thinking about ways to protect ourselves from the flu. The flu, or influenza, is a contagious virus that can cause many problems such as fevers, chills, sore throat, and fatigue. The flu can spread at any time, but most commonly during the fall and winter. Even if you don’t feel sick, you can still carry the flu virus, so it is important for everyone to play their part in helping out! Good ways we can protect ourselves from infection is washing our hands with soap and warm water, using hand sanitizer, and covering our coughs/sneezes. However, the best way to protect yourself and those around you from the flu is to get your flu shot at your local pharmacy! Many of our locations offer flu shots without a prescription from your doctor. Call your local pharmacy today to find out! 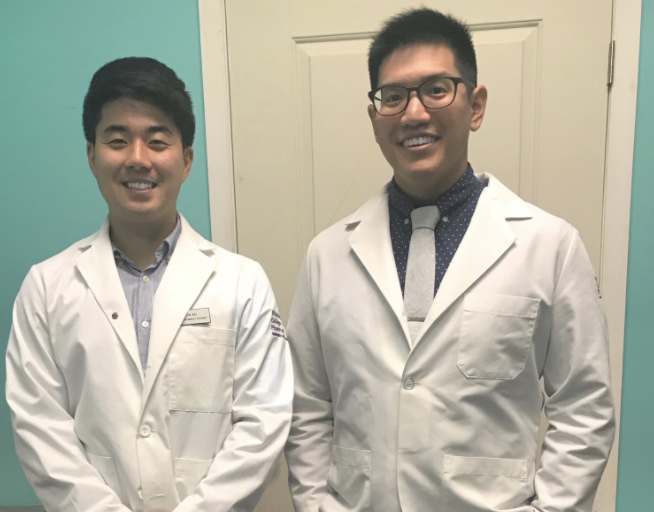 Photo: Student pharmacists from the Philadelphia College of Pharmacy completing their Advanced Pharmacy Practice Experience rotation at Holmesburg Pharmacy. 1. Getting the flu shot will give me the flu! This is a common error that many people seem to believe because they were told they are being injected with the flu. The flu shot does contain the virus, but the virus is dead and won’t harm you. However, our bodies are smart enough to recognize the dead virus and our immune system responds to the vaccine so that it may fight against the real flu should you ever get exposed. 2. I never get sick so I don’t need it! As mentioned above, not everyone develops the flu, but you may be carrying the virus and spreading it to others. Not everyone has a strong enough immune system to get the flu shot, so it is our job to make sure we can help those around us by getting the vaccine to reduce the spread of the virus! 3. Isn’t getting the flu better than getting the flu shot? The flu is a serious disease, and while most can recover after a few days, those at higher risk, such as young children, the elderly, and those with chronic medical conditions such as diabetes and asthma, may require hospitalization. Not to mention, having to miss days of school and work may pay a toll. 4. I got my flu shot and still got sick so I don’t want it! The flu shot protects us against certain types of the flu that are more common in the United States. However, there are other types of viruses and bacteria that go around during fall and winter that could cause similar symptoms. Just because you got sick last year, doesn’t mean that you got the flu last year! Additionally, it may take your body 2-4 weeks to fully develop protection against the flu, which is why it is important to get your flu shot early!